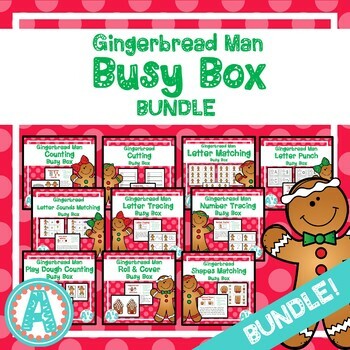 This busy boxes bundle contains ten different busy boxes that will be a fantastic addition to your gingerbread man theme! See the individual product descriptions for details about each busy box! Want to see more of my gingerbread man resources? Just click HERE to see which ones are currently available in my store!